March 27  A new painting is published: My childhood dream. February 19  A new painting is published: The mountain path. February 7  A new painting is published: Susanna and the old men. November 4  The publication from the magazine Naples Illustrated has been added. October 10  New paintings are published: At a gallop and Into the sea. August 9  A new painting is published: The bathers. July 28  A new painting is published: The morning shepherd. July 12  A new painting is published: The smokers. May 21  A new painting is published: Burning all the bridges. March 16  A new painting is published: The dream. February 22  A new painting is published: Spring ragtime. January 28  A new painting is published: A blizzard in the making. October 26  New paintings are published: By the Watering Ford and Aviators. 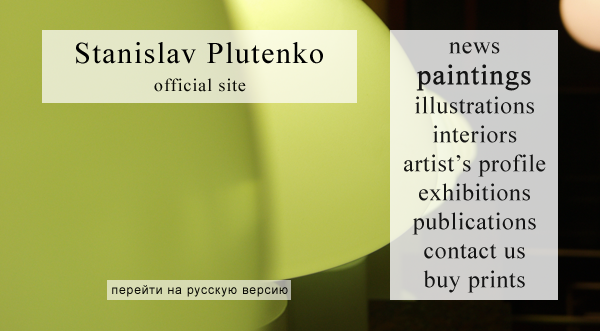 July 3  Personal exhibition of Stanislav's paintings is opened in the USA from July 3 to 17. Address: East West Fine Art Gallery, Mercato, 9115, Strada Place, 5130, Naples, Fl 34108. June 28  A new painting is published: The Judge of Carpets. June 4  A new painting is published: The Chase. March 31  A new painting is published: Jesus and Samaritan. March 3  A new painting is published: Set Off. November 25  A new painting is published: The Wise Man and the Trader. August 5  A new painting is published: Running time. May 11  A new painting is published: The ancient plein air painting. March 17  A new painting is published: Madonna and the Flower. February 27  A new painting is published: The first carpet. 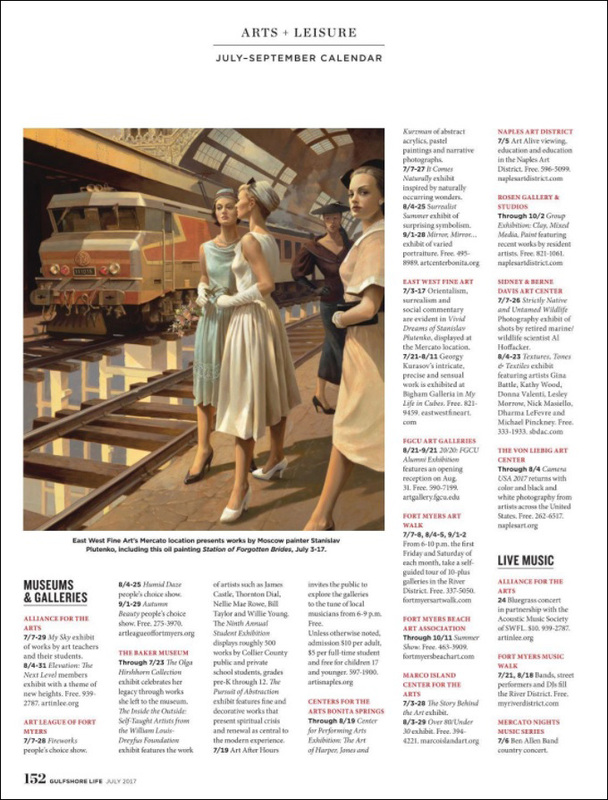 December 21  A new painting is published: The forsaken brides railstation. September 10  New paintings are published: Christ in the desert and In the shadow of trees. May 13  A new painting is published: The wolf hunters. March 10  New paintings are published: The shells collector, The metamorphoses and Waiting for the baloon.